Elder Dental Hygiene is dedicated to improving the dental health of Seniors and home/facility-bound individuals in the Palm Desert area of California. 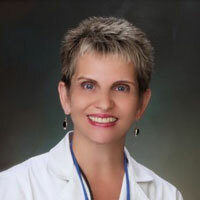 Laurie King has been a practicing dental hygienist for over 35 years having graduated from the University of Pittsburgh’s School of Dental Medicine. She was guided in her career by an outstanding dentist and mentor, Dr. William Shellenberger, who instilled in her the importance of continual and advanced education. Having completed both Bachelors and Masters Degrees, Laurie went back to school to attain and additional licensure, Registered Dental Hygienist in Alternative Practice (RDHAP). This license grants her the freedom to practice outside of the traditional dental office. Her experiences and skills far exceed those of a traditional dental hygienist making her uniquely qualified to care for Seniors either in their homes or in a care facility. Keeping your teeth and supporting structures healthy and functional is important for overall good health. For more information or to scheduled an appointment with Laurie King for your home or facility, please call 760-641-9099 or click the link below.